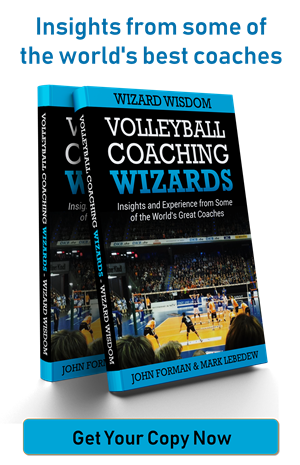 I assume at least some readers of this blog are thinking about where they might like to take their volleyball coaching careers. That being the case, I figure it’s worth providing a basic outline of the U.S. volleyball structure and where the jobs are at within it. 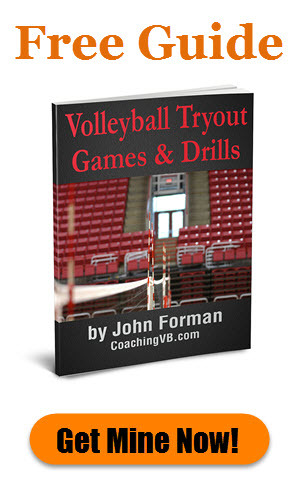 There are three primary levels of volleyball coaching. Those are primary/secondary school, club, and college/university. I’ll tackle each separately. High school volleyball (usually grades 9-12, ages 15-18) is the single largest segment of the sport. This is especially so in terms of legitimate coaching opportunities. According to recent statistics, volleyball ranks 3rd in participation count for girls (who play in the Fall season). That trails only basketball and outdoor track & field. There are nearly 16,000 teams and over 400,000 participants nationwide. Those numbers may not make sense at first glance. If you do the math it works out to like 25 players per team. The count, though, only includes varsity teams. Most schools also have junior varsity. Some have freshman teams as well. As the following chart (courtesy of Volleyblog Seattle) shows, volleyball is actually the most popular girls’ sport in more states than any other. Middle school volleyball (ages 12-14) is not nearly as common. The impression is it’s expanding, though. I don’t have participation figures at hand, unfortunately. I think there is a heavy regional element. For example, there are lots of junior high and middle school teams in Texas. Unfortunately, boys’ volleyball is only a fraction of the size of girls’ volleyball. Detractors of Title IX say that’s why boys’ volleyball isn’t bigger. It’s probably part of the equation. Boys’ volleyball faces a lot of competition, though, from higher profile sports. Generally, the high school season is about three months long. Teams train and/or play 5-6 days a week, usually after school. There are often rules against working with players out of season. Politics and union influence can play a big part in coaching at this level. In some places a teacher gets first crack at a job. This can be despite weaker qualifications.Most teams have assistant coaches, but how many varies widely. Often the primary varsity assistant acts as head coach for the junior varsity. Some kind of first aid certification is usually required. There may also be others related to child safety and welfare. While this is obviously part-time coaching, the pay can be pretty good, relatively speaking. Location and school district play a big part there. I haven’t seen any aggregate figures for juniors volleyball. Teams range from as young as 10-and-unders in some places up to 18-and-unders. It likely comes in below the high school participation figures, but perhaps not by a huge margin. In New England alone – which is not a particularly large region – there are reported to be over 400 teams. That means nationwide there are perhaps tens of thousands of youth club teams. 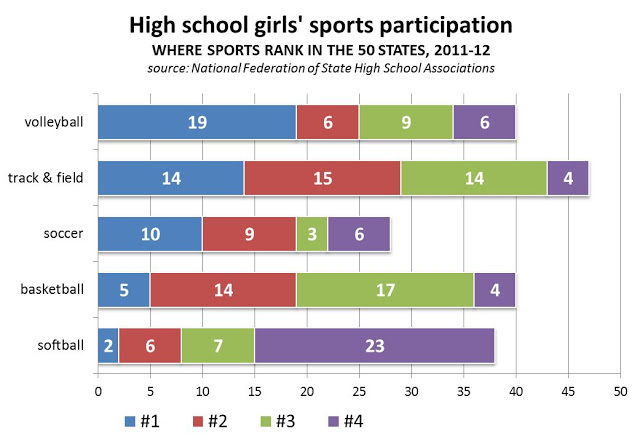 As in the case of high school, though, the vast majority of teams are for girls. They all need coaches. Some even need assistant coaches. The juniors coaching commitment varies considerably. Some teams train once a week and compete in a handful of 1-day tournaments over the season. Other teams compete nationally. They train multiple times per week and travel for multi-day tournaments. Obviously, expectations and commitment levels widely differ. So too does coach pay, as a result. I’ve seen anything from a couple hundred for a season to a couple thousand per month. Additionally, coaches are generally paid higher salaries in the more traditionally volleyball-oriented regions. USA Volleyball requires juniors club coaches to have at least IMPACT certification. There is also a required background check, and one or two other things along a similar line. Club volleyball at the adult level in the US is not as big a sport as at the youth level. There tends also not to be much in the way of coaching. The one exception is the Professional Volleyball League, which is early in its development. In other words, there aren’t many opportunities to coach at the adult club level. Even fewer if you want to get paid. There are nearly 2000 college volleyball teams in the US (again, mainly women). You can see from this breakdown they fall across a number of different categories. The top is NCAA Division I. That’s the highest profile and in general has the best level of play. There are also NCAA Division II and Division III. The latter is the single largest category, with nearly 500 teams. All of these are 4-year colleges and universities. The differences between the three divisions are mainly in the areas of scholarship availability and student-athlete time commitment. At the Division I level there are full scholarships and a near full-year commitment to the sport. In contrast, at the Division III level there are no athletic scholarships and often just a 3-4 month official commitment. Division II falls in between. Each division has its own set of rules. Also at the 4-year level is the NAIA, with a little over 200 teams. This is an organization for smaller athletic programs, often at religiously-oriented schools. It has its own rules, which can vary considerably from the NCAA. Lastly, there are the 2-year colleges. The largest single organization of these schools is the NJCAA, with over 300 teams. California has its own Community College Athletic Association. Here, as with the NCAA, there is gradation. The NJCAA actually follows a similar 3-division system. It should be noted that there is a lot of overlap of competitive level. Just because a team is in NCAA Division I, that doesn’t mean it’s better than all teams in Division II – or even Division III! Each division has a wide spread. The level of play at the bottom of a division is very different from the level at the top. As you might expect, the different levels mean a variety of coaching opportunities. Obviously, all teams have a head coach. The vast majority also have an assistant. Beyond that it depends on budget, though there are NCAA limits on numbers. At the lower end the positions are part-time. It’s similar to high school volleyball in that way. As one moves up the ranks, though, the time commitment and expectations grow. In Division I it’s to the point where all, or nearly all, head volleyball coaches are full-time. So too are many assistants. In the lower divisions there’s a bigger mix. Many positions are part-time. This is especially true in Division III were the off-season commitment can be much less. A volleyball coach sometimes has teaching and/or administrative duties to make up a full salaried position. At all levels there is in-season travel for competition. This can include both weekend and midweek matches. Generally speaking, at the lower levels conferences are geographically smaller. That means shorter trips. At the higher levels the conferences cover bigger areas. In some cases they require air travel. There is also off-season travel for recruiting. Again, that tends to be more at the higher levels than at the lower ones. There are no official requirements to coach collegiately. Most schools require some form of first aid/CPR/AED certification, however. A driver’s license is also needed if the coach is has to drive at all. NCAA coaches must also pass a rules exam each year. With tens of thousands of volleyball teams out there, work as a coach will never be hard to find. It just depends on how much of a commitment you’re after. Satisfaction can be found at every level. You don’t need to coach a Division I team and contend for the national championship to enjoy yourself and have a rewarding career. Find a level that suits you. Then go make an impact!